Because I'm a slacker, this was not ready for Tiff on her Birthday. However, given that it is Klaartje's favourite Lack colours it's more a joint pressie. There isn't solid Lack colours for the Bladet Pot that just so happens to recolour Klaartje's present for Tiff of the Clutterholic pots repositoried to the Ikea Bladet Pot. So there is now. Because sometimes the plants are pretty enough that all you really want is a solid colour to accent their beauty. Also I did 3 pattern recolours, because I saw the pattern and wanted them. Happy Un-Birthday Tiff, Klaartje and Me! 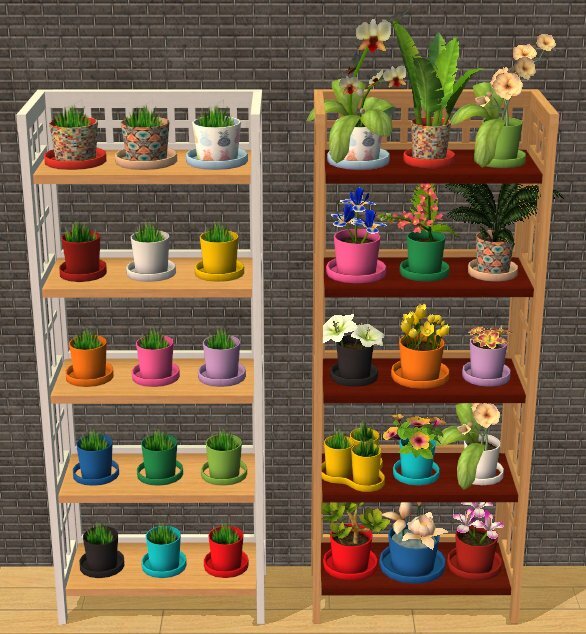 Klaartje's original post with all the beaut repository fixes. This looks great, also, happy un-birthday to you 3!